My current position is Professor of History of Art in the Department of HIstory, Philosophy and Religion at Oxford Brookes University, where I am also the Postgraduate Research Tutor. I teach undergraduates on the History of Art single honours and combined honours degree course. I supervise doctoral students whose research interests are related to my own and I welcome applications from potential PhD candidates. Interested students should contact me with their CV and a brief outline of their intended PhD research topic. I am currently supervising research students working on the following topics: watercolour techniques and materials in Britain, 1850-1880; the life and work of John Rogers Herbert; representations of old age in Britain and America, 1870-1910; and paintings and photographs of fisherfolk and fishing practices in West Cornwall, 1860-1910. My research interests are in nineteenth-century British landscape and genre painting, with a particular emphasis on the representation of the poor and the relationship of art to its social and political context. I have curated exhibitions at the Yale Center for British Art, New Haven, the Djanogly Art Gallery, University of Nottingham, and Penlee House Gallery and Museum, Penzance. 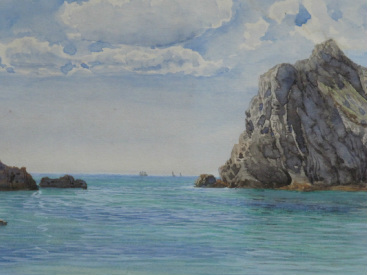 My most recent publications include Where the Sea Meets the Land, a book and accompanying exhibition looking at images of the coast in the nineteenth century, and a monograph on the artist John Brett. My current research project is on representations of trees in art. Please see below for a full list of publications.